The company promised that the discontinuation of Yahoo Messenger will not impact a user's Yahoo ID, so it will continue to work for products like Yahoo Mail and Yahoo Fantasy. As for a reason, Yahoo said that it is focusing on "building and introducing new, exciting communications tools" that will be a "better fit" for its customers. "There currently isn't a replacement" for Yahoo Messenger, however, so the company pointed users toward the invite-only group messaging app Yahoo Squirrel. Squirrel is still in the testing phase and allows groups to organize private chats with friends and family members in a style similar to Slack and Discord. Yahoo originally debuted its Yahoo Messenger app on the iOS App Store [Direct Link] in April 2009, giving users the ability to instant message their contacts when away from their computer. In the years since, messaging apps like Apple's iMessage, Facebook Messenger, and others have surged in popularity and caused users to leave Yahoo's platform for ones more popular among their own friend groups. Today, Yahoo Messenger is #167 on the App Store's most-downloaded Social Networking app list. Prior to its appearance on the App Store, Yahoo Messenger originally debuted in 1998 (dubbed "Yahoo Pager") as an instant messaging client that users could download for free to chat with friends. In 2018, Yahoo said that users will be able to download their chat history to a computer or other device for the next six months, and more information can be found in the FAQ section of the announcement page. 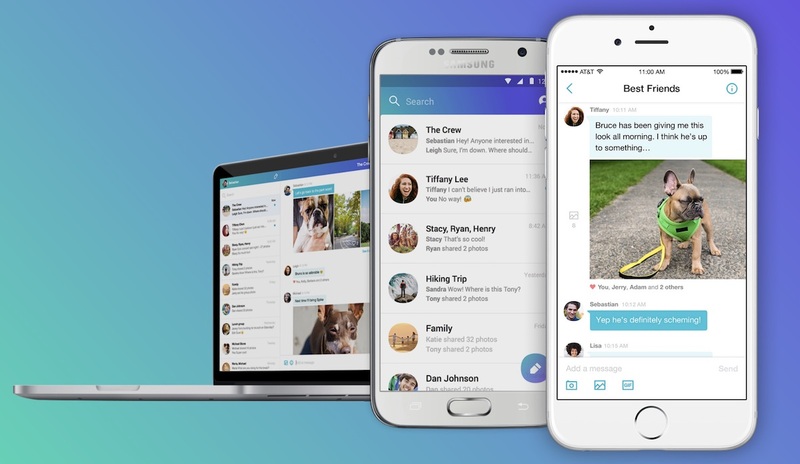 Yahoo Messenger's closure in 2018 follows the sunsetting of AOL Instant Messenger in December 2017, both of which are owned by parent company Oath and lasted for around 20 years online.